Abandoned ruins, strange places, and natural beauty. These are things I live for, the geography of my bucket list. 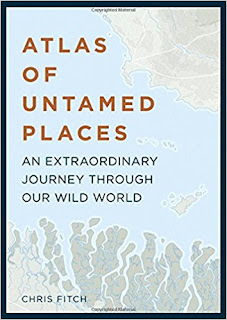 Chris Fitch clearly shares that passion, with Untamed: An Atlas of Wild Places the perfect first volume in that. A collection of global snapshots that are as fascinating as they are incredible, this is not the kind of book you sit down and devour over the course of an evening. Instead, it is something you leave sitting on that proverbial coffee table, a book to be sampled, shared, and appreciated. The Atlas is divided into six sections - Extreme Environments, Untouched Lands, Human Activity, Weird Worlds, Isolated Realms, and Nature's Wilderness. Each features 6-8 short articles of a few pages each illustrated by photographs and (more importantly) detailed maps. Human Activity set the bar high for abandoned ruins. Here we find details of Chernobyl that are almost unfathomable, such as the fact that the process of decomposition has ceased to operate, and walk through a town in Pennsylvania that has been burning since 1962, although it took the collapse of a 100-foot deep sinkhole to finally begin its abandonment nearly 20 years later. In terms of strange places, Extreme Environments was easily my favorite. Where else can you find shipwrecks a few hundred yards into the desert, toxic gas spewing lakes, and a cave full of massive 36-foot crystals? As for natural beauty, it's hard to choose between Untouched Lands (which tell of a cave beneath Vietnam that is not only large enough for a jumbo jet, but which has its own weather system) and Weird Worlds (with a lake in Venezuela that receives 1.2 million lightning strikes each year). 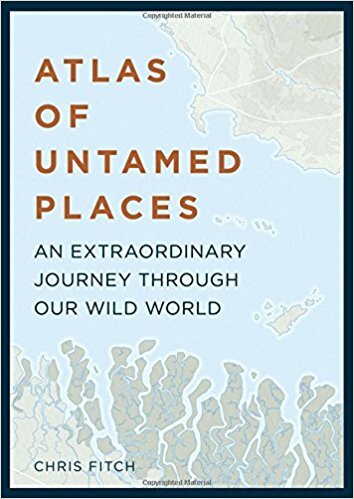 Honestly, Untamed: An Atlas of Wild Places could be ten times as long and I would still want more, but as first volumes of a bucket list go, it's a great start.